This person got interested in the music that “headphone girls/boys” listen to, and actually he asked around on the street! Here is the report of this “on the street interview”. 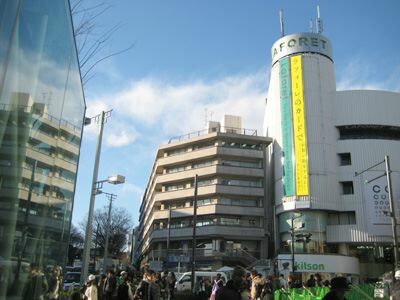 The interview spot was the “center of the trend in Tokyo”, the crossroad right next to LAFORET in Harajuku. There were a lot of people standing besides the interviewer, such as hairdressers who are looking for models for hair style, magazine editors and cameramen to report fashion snaps, and talent spotters who are hunting new pop stars. While the talent spotters were talking to any young or any cute girls without hesitation, the interviewer was totally frozen. The targets are “cute young boys and girls who are in today’s Harajuku fashion and wearing headphones” but those youngs walk so fast. Although the interviewer finally talked to a young while he is waiting for traffic lights, he refused in a second. The interviewer wrote big “Surveying What You Listen with Headphones” on a notebook and showed it to headphone youngs. 1, 2, 3, 4 people…no one stopped to answer. B-boy like tall good looking boy showed his iPod music list. TERIYAKI BOYZ is a hip-hop group consists of 5 members including ILMALI from RIP SLYME and VERBAL from m-flo. The next young who answered the question was a girl with ponytail. 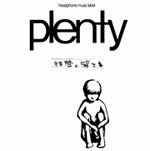 plenty is a new-comer male 3-piece band that was highly praised by music magazines last year. After spontaneous refusals, the interviewer just kept asking youngs on the street. 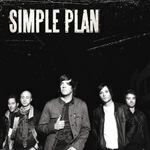 Mega hit pop punk band consists of 5 French Canadians. When the interviewer was getting comfortable about asking around, some foreign tourists asked the way to Takeshita-dori. Right after answering that, a Chinese tourists group passed by. 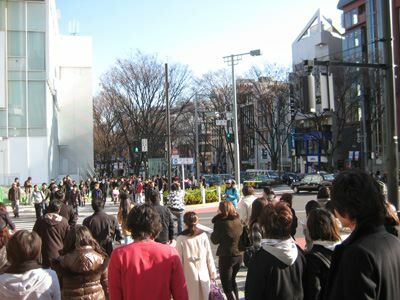 Hmmm there are so many foreigners in Harajuku. Collaboration work with duo BENNIE K that consists of a singer YUKI and a rapper CICO, and a hip-hop unit 2BACKKA. It was released in 2007. The interviewer wanted to talk to high school girls too, but they are “colony” rather than being alone, so no school girl wear headphones. 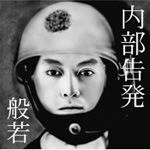 Kansai born 4 male pop punk band, highly praised in Europe, North America, and Korea too. Hannya is one of the hip-hop MCs who support Japanese hip-hop. He started his career from mid 90’s, and his sharp offensive lyrics distinguish him. Unicorn is popular band among people around 40 years old. It was released December 2009. 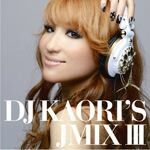 Kouchi Prefecture born DJ KAORI is a talented and beautiful DJ who lives in New York now. She remixes American, European and Japanese music, and has released many remix and compilation albums. Her remixes are popular for their easiness to listen to. This DJMIX is so “now” that many youngs seem to like. As the sun went down, it was getting cold, and the crowd’s stream went fast too. After all, the interviewer was only able to talk to 8 people in 3 hours. Because there are only 8 people’s data, similarities and such are hardly analyzed, but there are two things the interviewer noticed, 1: Music released recently, 2: Headphone youngs are not reluctant to listen to Indie music. Is there any song do you know?